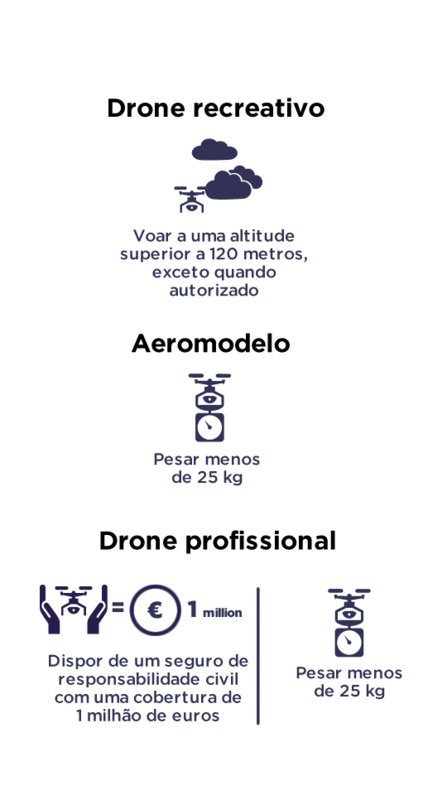 As informações contidas neste sítio estão sujeitas a uma cláusula de exclusão de responsabilidade. 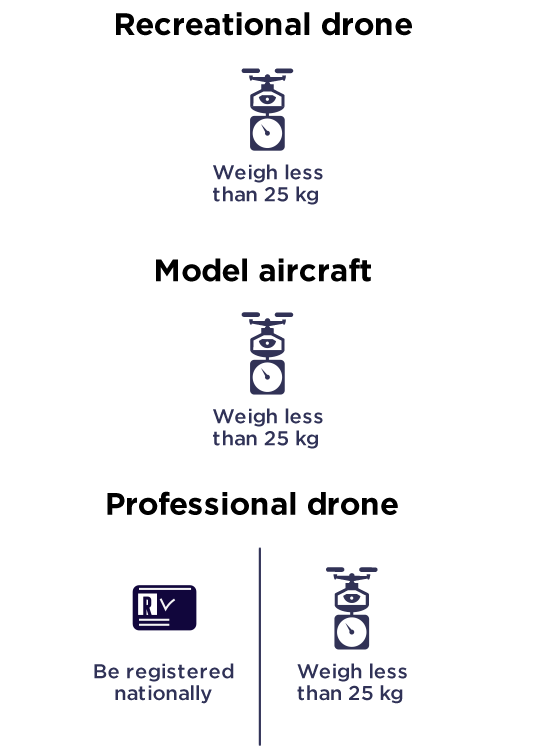 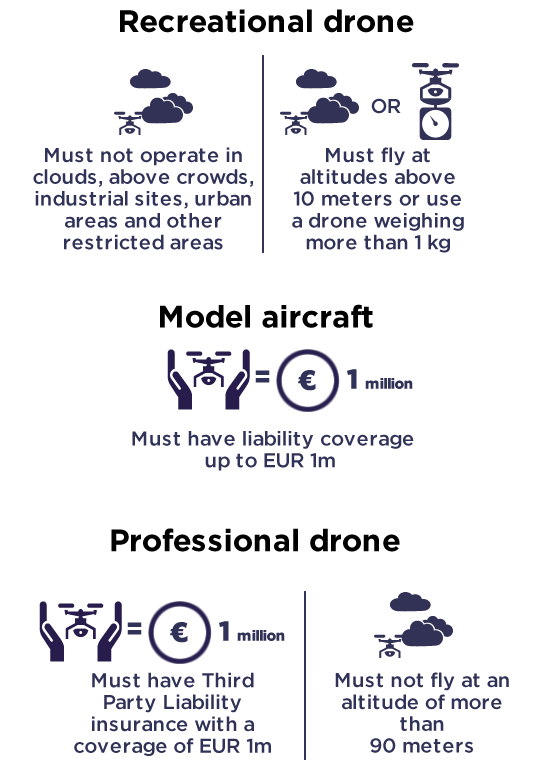 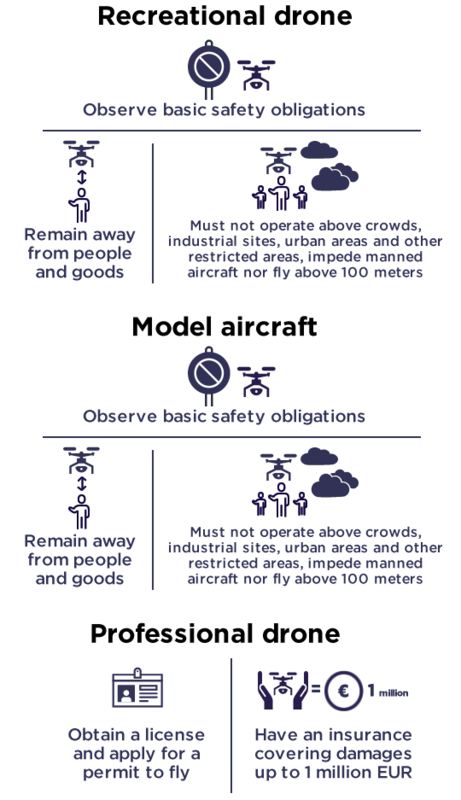 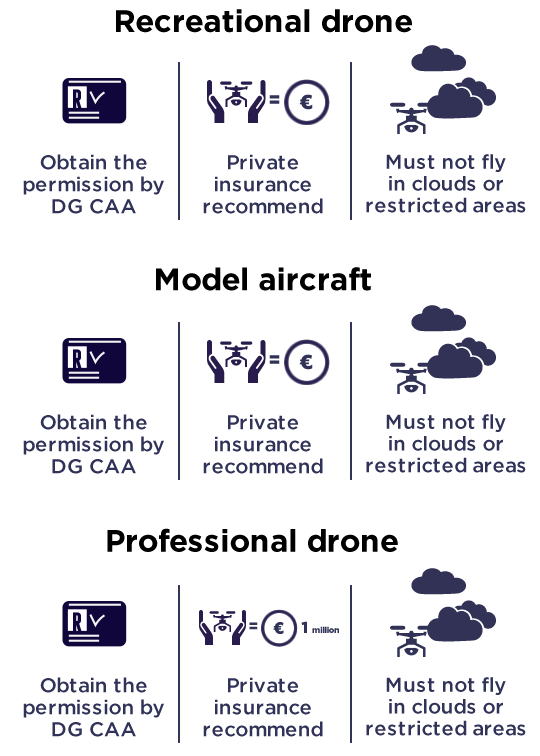 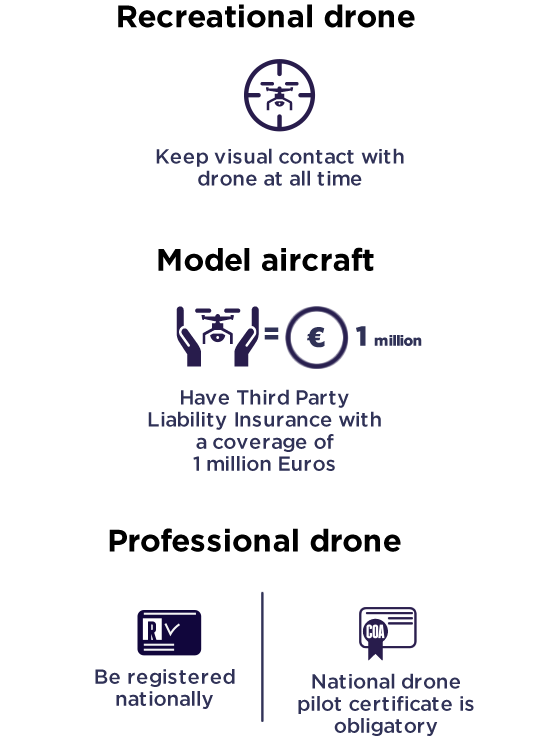 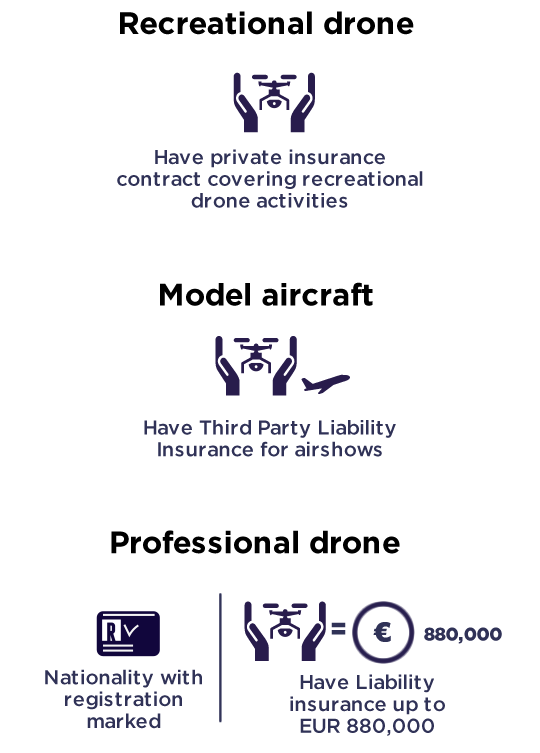 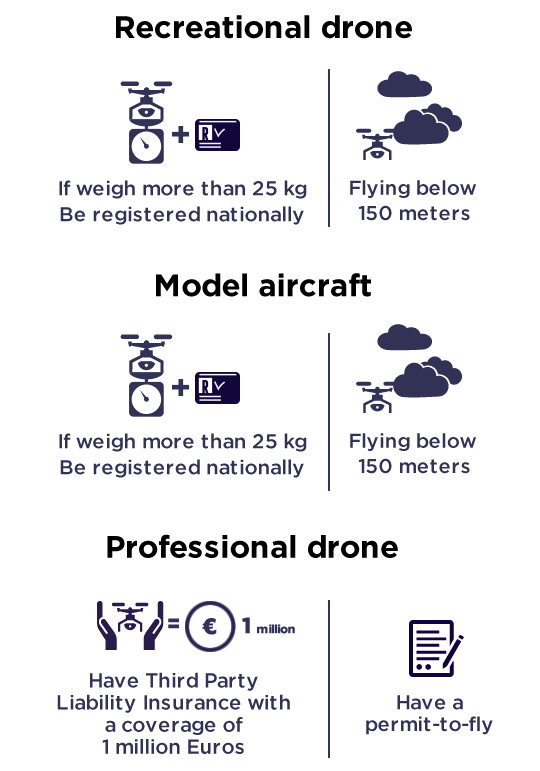 In view of the current complexity of the drone regulatory framework, the European Commission, under the COSME SME support Programme, has decided to fund (call ID: COS-RPAS-2014-2-03) an “awareness raising campaign” to facilitate understanding of the legal environment and constraints in relation with the operation of light RPAS (also commonly known as “Drones”) in Europe. 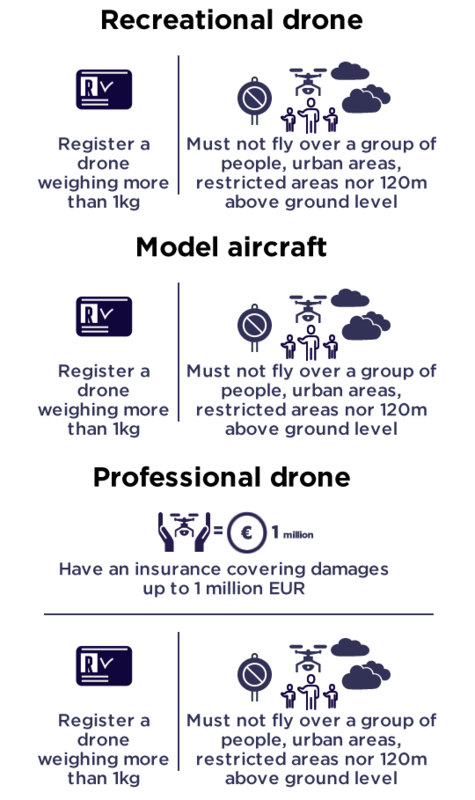 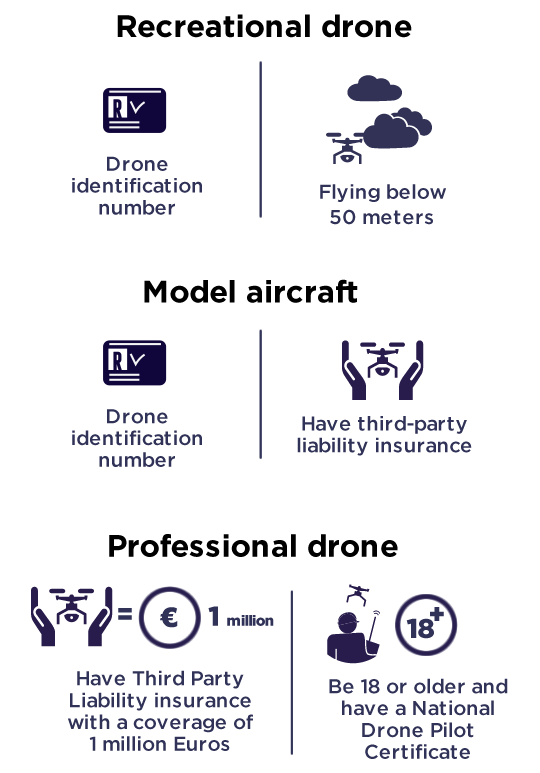 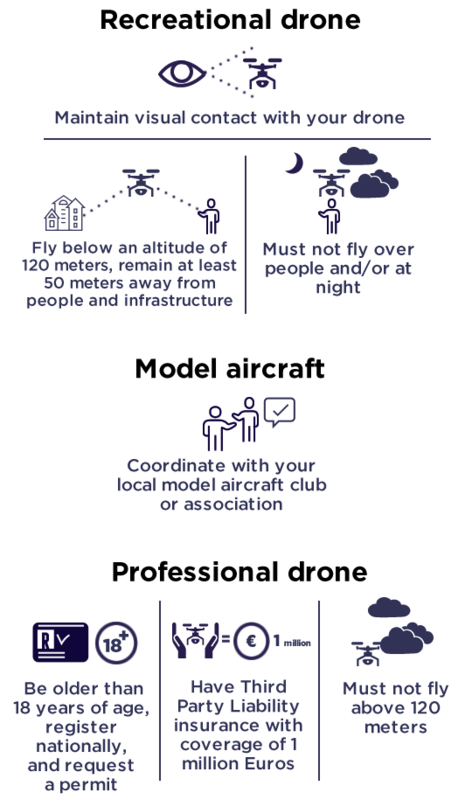 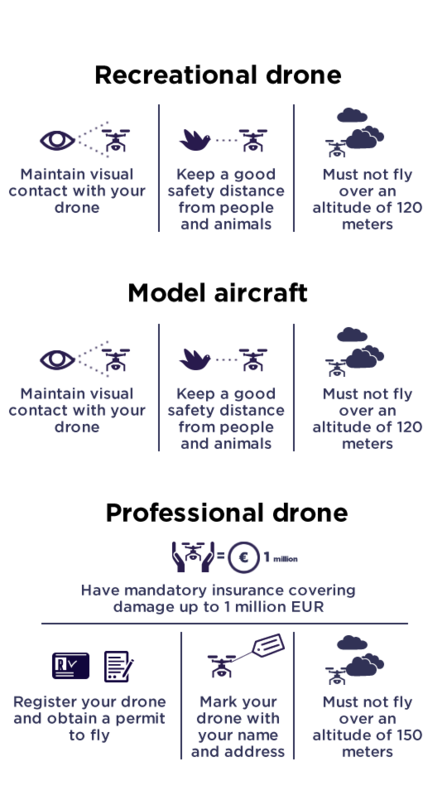 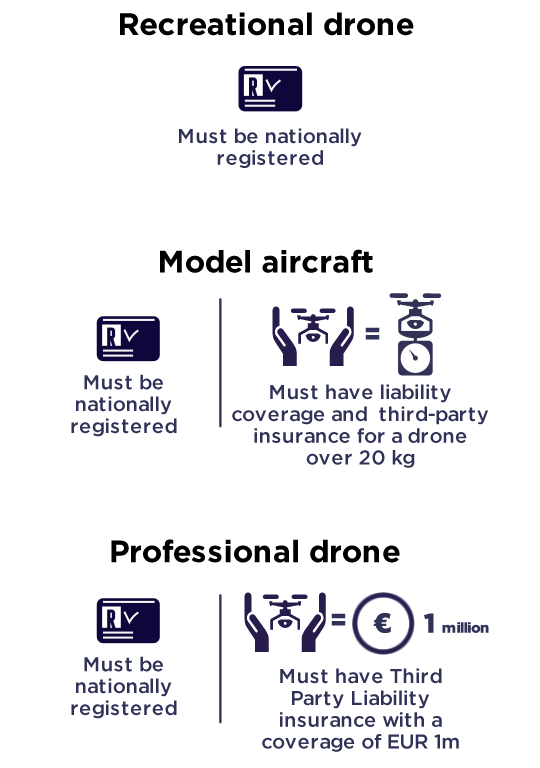 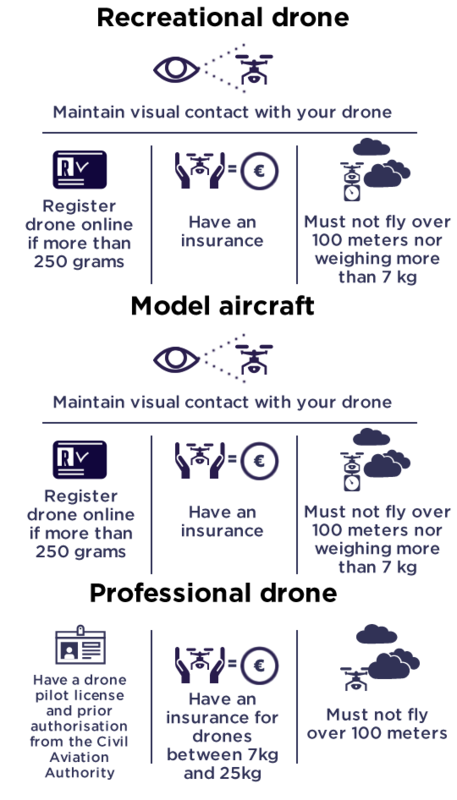 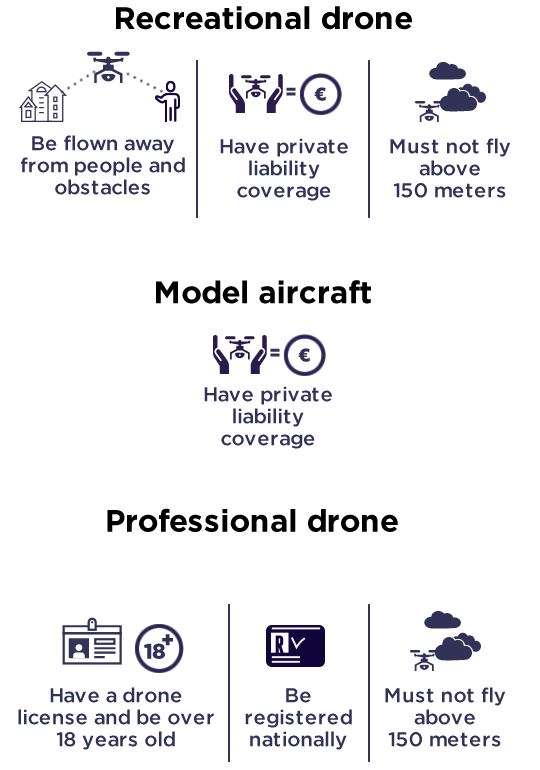 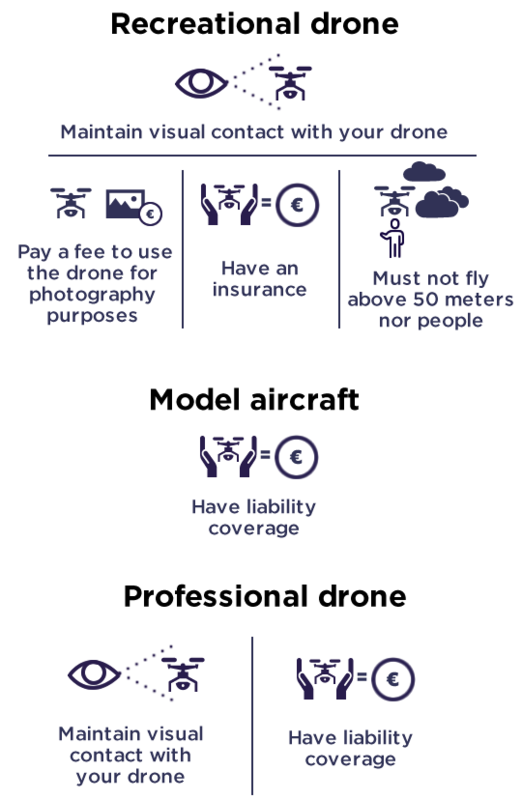 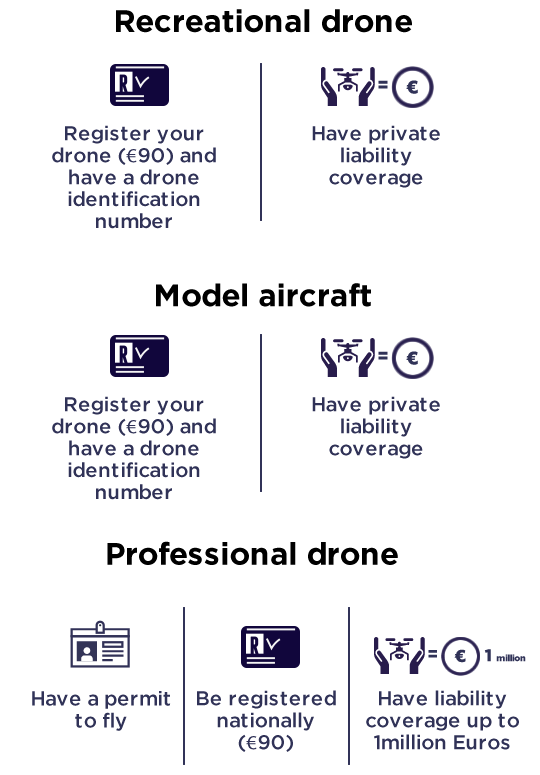 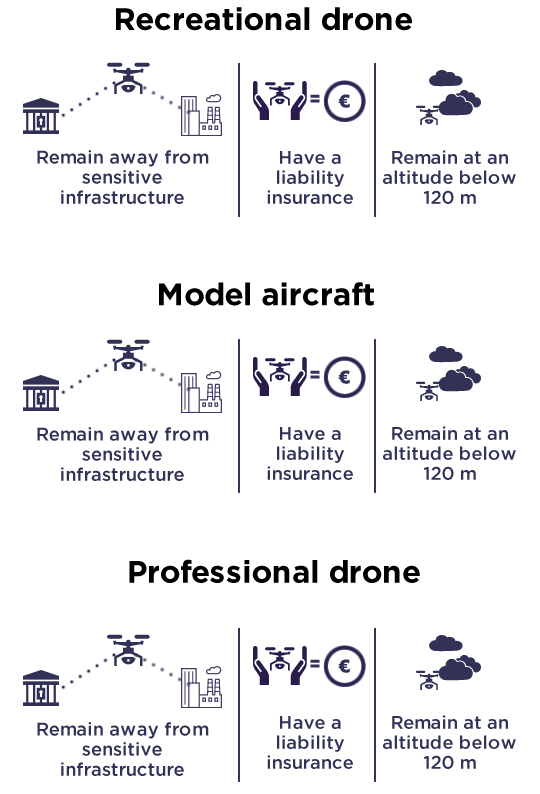 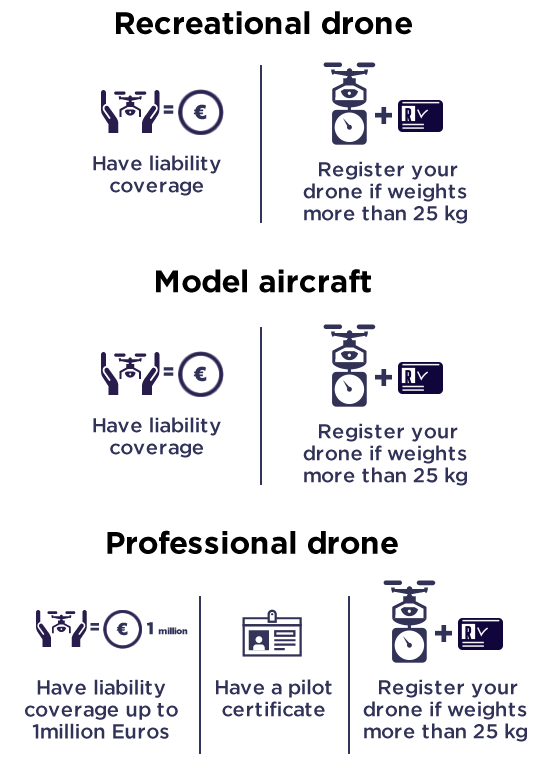 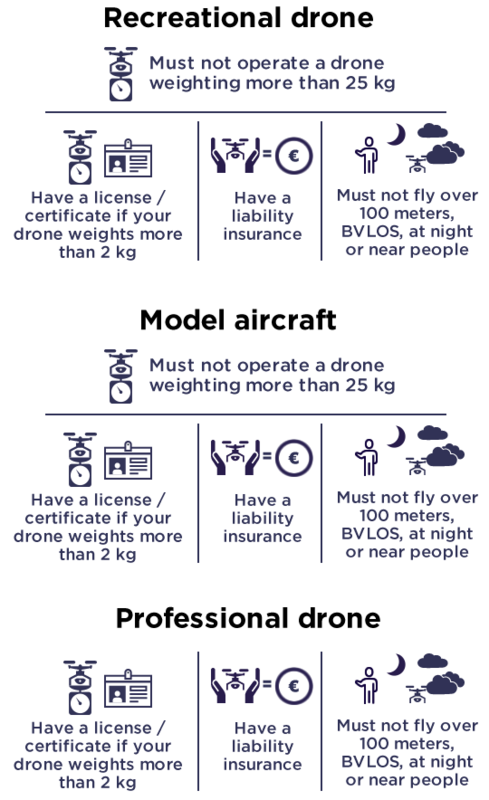 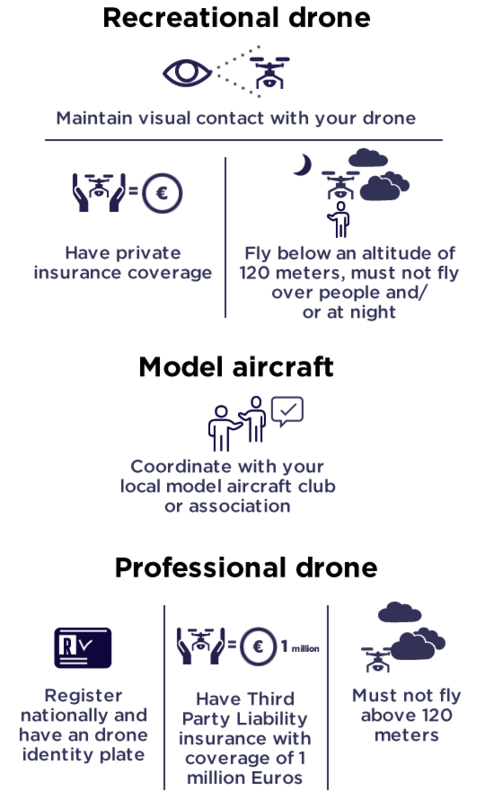 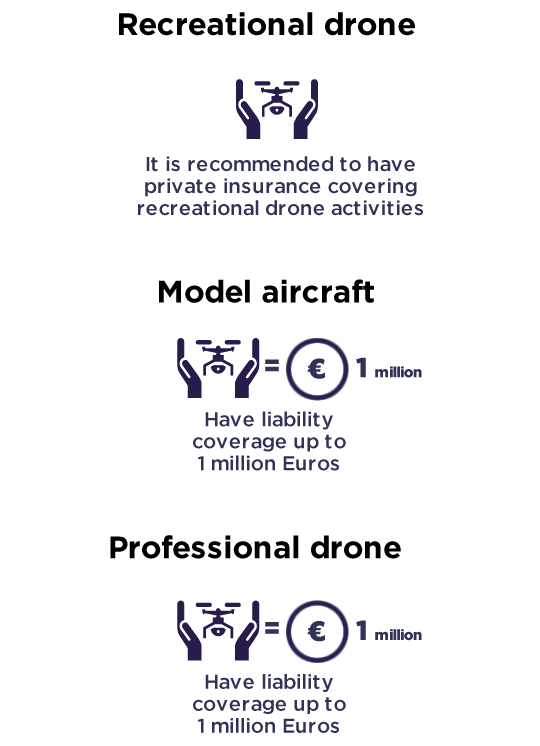 The purpose of this site is to provide a centralised information platform for entities, including private and professional users, interested in the various existing rules of European Union (EU) Member States related to activities with drones. 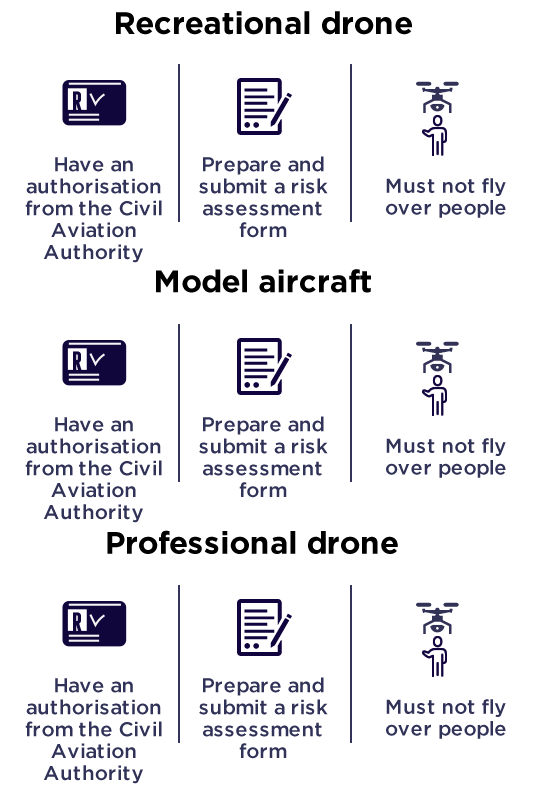 Information posted on this site does not alter, fulfil, or replace States’ reporting and notification requirements, or other similar obligations, as provided by the Chicago Convention on International Civil Aviation, its Annexes, or any other applicable instruments of law. 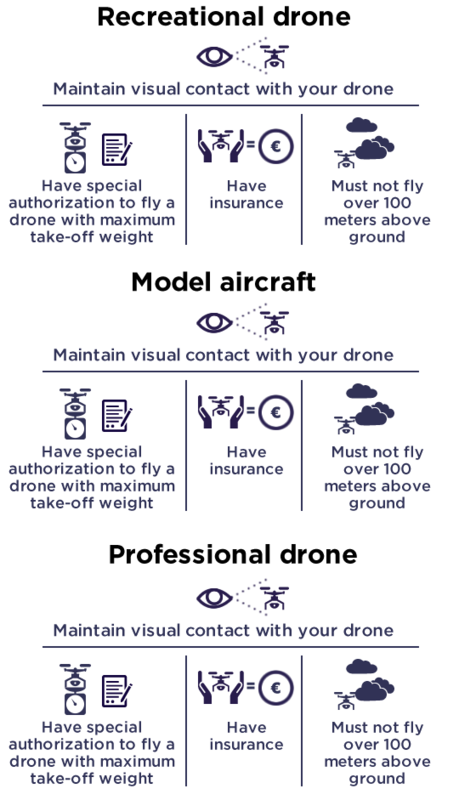 This site is purely informational in nature and its contents are made available without warranties of any kind, either express or implied. 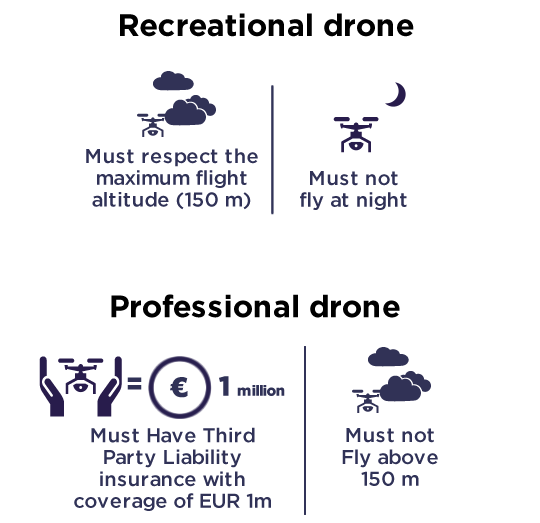 The content of this website, including all materials uploaded in the online library, shall not be considered as the official position of the Executive Agency for Small and Medium Enterprises (EASME) or the EU Commission nor any person acting on behalf of EASME or of the EU Commission is responsible for the use which might be made of this content. 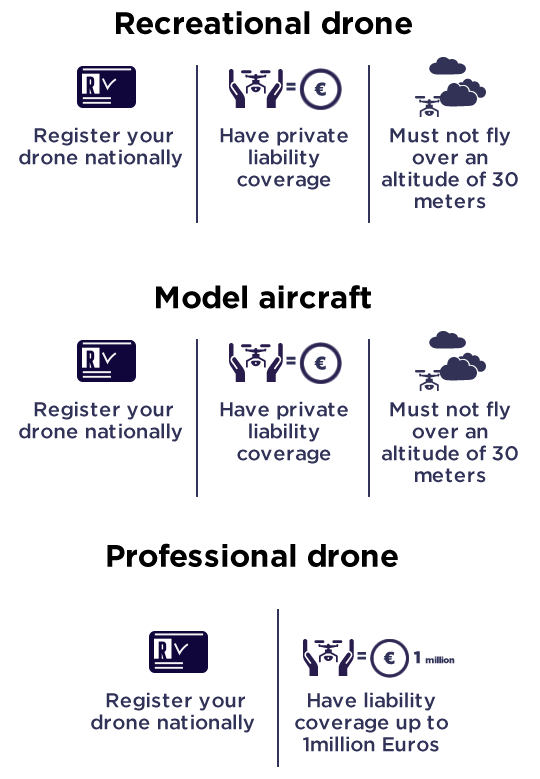 The information on this site is compiled and provided by the DroneRules Consortium, applying great diligence and care. 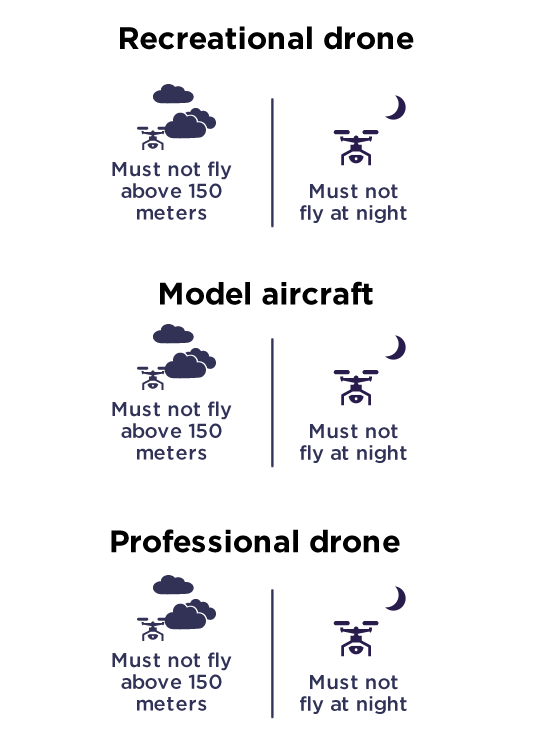 However, the DroneRules Consortium does not warrant that the contents are accurate, valid, reliable, complete, comprehensive, correct or up-to-date, that this website will be available at any particular time or location, that any defects or errors will be corrected, or that the content is free of viruses or other harmful components. 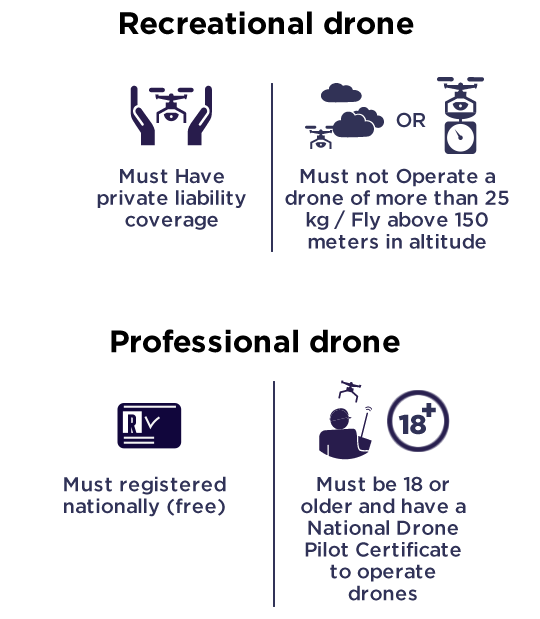 Any opinions posted on this site, explicit or implied, reflect the opinion of the indicated author’s alone or, in case no individual indication is provided, the opinion of the DroneRules Consortium. 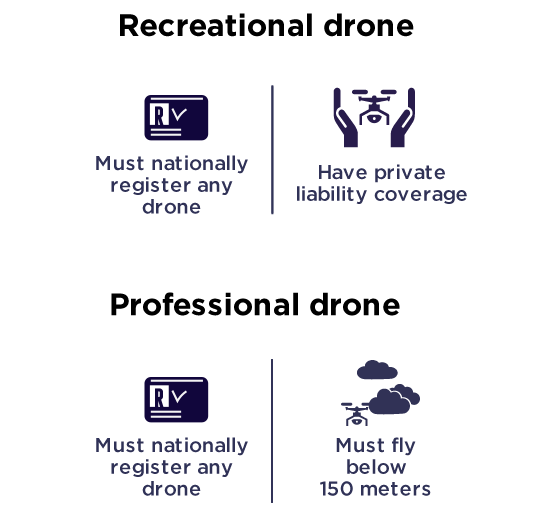 DroneRules Consortium shall not be liable for any direct, indirect, punitive, incidental, special or consequential damages (including, but not limited to, damages for loss of business profits, business interruption, or loss of programs or information) that result from the use or inability to use such site, or from the use or non-use of the information provided herein, in particular for, but not limited to, errors or omissions in the contents of the website, consequences of its use or non-use, or inaccurate transmission or misdirection.